Good news! 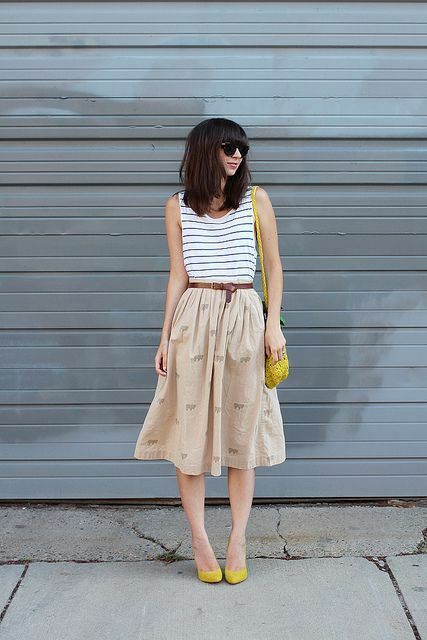 Spring has officially started, so you can boldly choose new cool outfits for this season. Do you have any ideas? If you don’t, just look at our collected ones, I’m sure you’ll find something useful and awesome for you. Today it’s time for shoes, and let’s talk about eye-catching yellow ones. For creating spring outfits, first of all, you need to decide what type of shoes you want: for elegant and official looks you can take classic pumps or high heels, for relaxed outfits try to wear loafers or sneakers, for casual ones pick up ankle boots, mules, platform sandals or slip on shoes. Secondly, pay your attention to fabrics (you can choose suede, real or faux leather, etc.) and yellow shades (pick up from neon yellow to mustard yellow or golden one). Now scroll down to see all ideas. 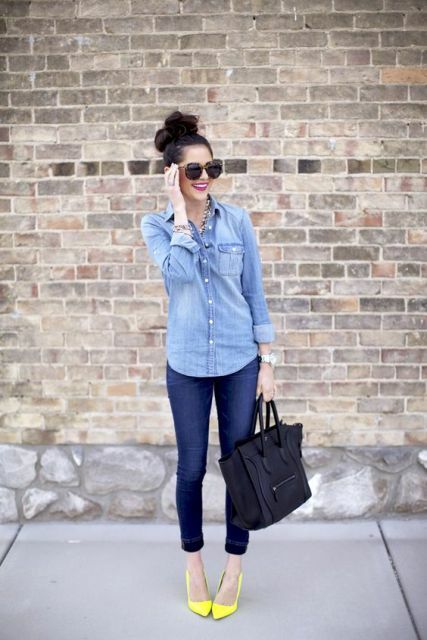 Jeans are universal, so you can create many outfits with them and various yellow shoes. For example, you can mix your skinny (distressed or cuffed ones) jeans with a denim shirt, yellow pumps and a simple black leather bag. To mustard yellow shoes you can add navy blue straight jeans, a beige shirt and a green army jacket over it. Yellow color blends perfectly with neutral basic colors such as black, white, gray, navy blue ones and bright colors such as green, cobalt blue, so you can try to experiment with these color palettes making your new outfits. 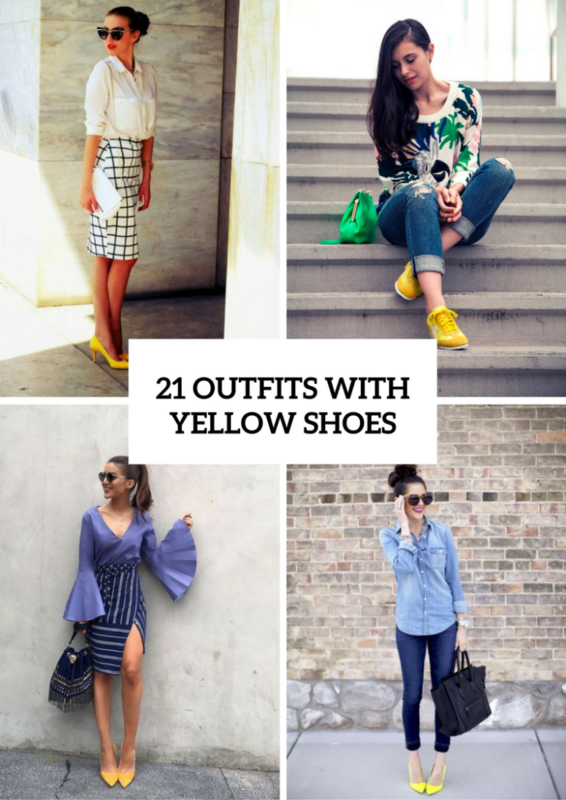 Don’t be afraid to combine your bright yellow shoes with eye-catching printed pieces of clothes such as checked skirts, geometric printed dresses or striped shirts. They look absolutely fantastic! These shoes can be a great accent for a black and white look (for example, a white knee-length dress and a black fitted blazer) or a part in a complicated and unique outfit (for example, with a purple bell sleeve blouse and a striped skirt or with a neon yellow shirt and a cobalt blue A-line skirt). Get inspired!